For an estimated 5 million people in communities across the United States, developmental disabilities are part of life. Their conditions – autism, Down syndrome, muscular dystrophy and cerebral palsy, to name a few – may impact physical capacity, language, learning or behavior, but not their spirit. When people with these different abilities are connected to the right opportunities and resources, they can live secure, fulfilling lives. March is Developmental Disabilities Awareness Month. And the observance is an opportunity to explore how we can all do more to help our neighbors, friends and family members who have developmental disabilities live side-by-side with other people in their communities. For so many of them, the ultimate goal is the same as anyone else – to be independent, productive members of society. With the support of their families, caregivers and communities, they can accomplish just that. Organizations like The Arc and the National Association of Councils on Developmental Disabilities advocate for the equity and inclusion of people with disabilities in all aspects of society. They promote self-determination, and support the right of individuals with developmental disabilities to make their own decisions about their lives and wellbeing. They also work to advance that agenda at the state and national levels. On the personal front, families and caregivers are a crucial part of the support system that enables people who have disabilities to seek more individual choices and greater freedoms. But attaining those freedoms may require reaching out for additional support. To live the most fulfilling lives, people with developmental disabilities may need help with the activities of daily living, mobility and transportation. And they might be surprised to learn that home care can support all of those needs. Non-medical home care services aren’t just for older adults. They can also enhance the lives of adults of all ages who have disabilities, helping them achieve the independence they crave and allowing them to engage – side-by-side – with others in their communities. 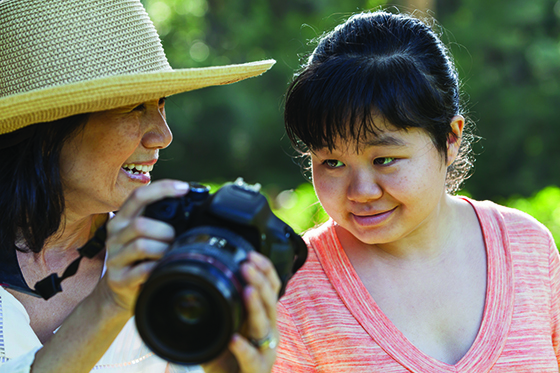 Each day, FirstLight caregivers provide the encouragement, companionship and support our clients with developmental disabilities need to pursue their life goals. And we celebrate their every achievement. Find a location today to learn more about our services.